We liked the balcony at our apartment and also the lovely rooftop area around the swimming pool. Also the lively music playing in the reception area. The location is close to the station and beach. Close to shops, bakery and best pizza shop faxing the hotel. A well maintained aparthotel with comfortable and well equipped appartments that provide enough space for a family with two children. 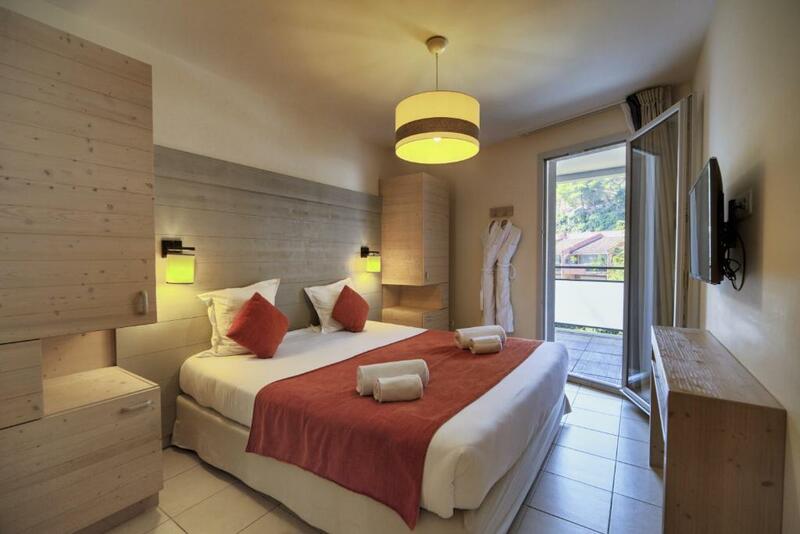 It is within walking distance from Menton, close to the sea side. Clean. Good location. Underground parking affordable. Good room sizes, great balcony with sun shades. Markets 50 m walking. Beach 100 m. Stylish. Rooftop pool. Great location very close to the beach. Great swimming pool on the roof of the building. Nice staff. 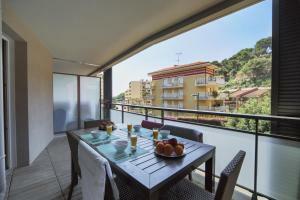 Very very nice apartment at wonderful location close to the beach and to Menton. Parking included (€€) and dogs allowed. Very comfortable. Recommended. Comfortable and spacious for two in a one bed apartment. Nice seating area off reception to sit and have a glass of wine in the evening (no bar - you buy your own wine and take glasses from your apartment). Awsome view from the roof level swimming pool ! Swimming pool was clean. Great location. Very helpful staff. Lock in a great price for Résidence Pierre & Vacances Premium Julia Augusta – rated 8.9 by recent guests! Located in Roquebrune-Cap-Martin, Résidence Pierre & Vacances Premium Julia Augusta features a heated, outdoor seasonal swimming pool. This self-catering accommodations offers a sun terrace on the roof and a playing area for children in the reception lounge. 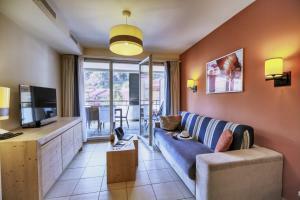 All apartments feature a balcony, a seating area with a sofa bed and a flat-screen TV. The bathroom is complete and comes with hairdryer and 2 bathrobes. 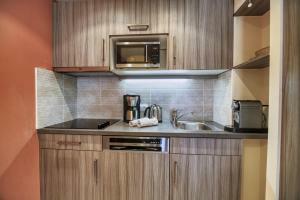 Each accommodations has an equipped kitchen with dishwasher, oven and refrigerator. Restaurants can be found from 650 feet of the property. Breakfast and a bakery delivery service are also available with an extra cost. 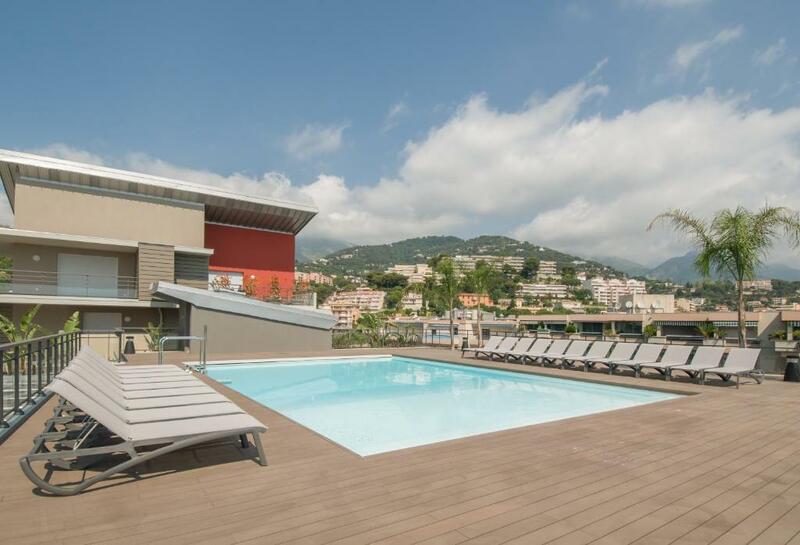 The beach is 150 feet away and the accommodations is 1.9 mi from Menton and 5 mi from Monaco. There is a Train Station 1,650 feet away. When would you like to stay at Résidence Pierre & Vacances Premium Julia Augusta? 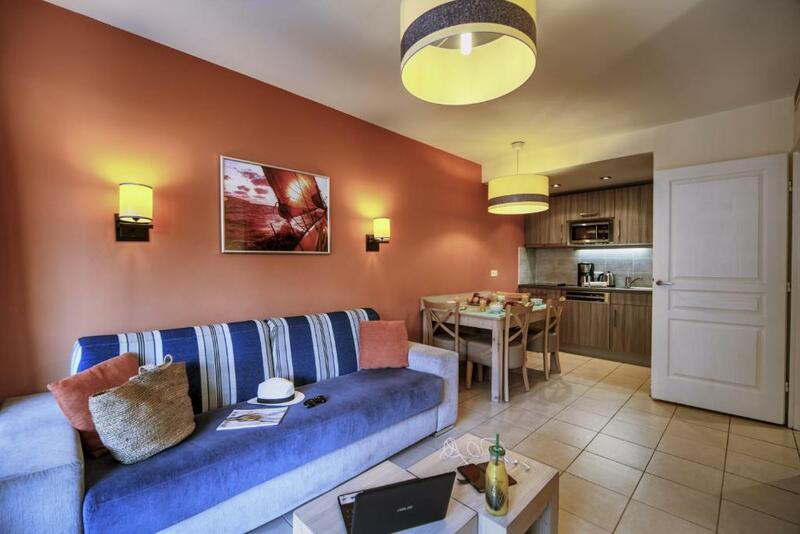 This apartment features a living area with 1 double sofa bed and one bedroom with a double bed. Beds are made prior to arrival. It has one bathroom with a shower. 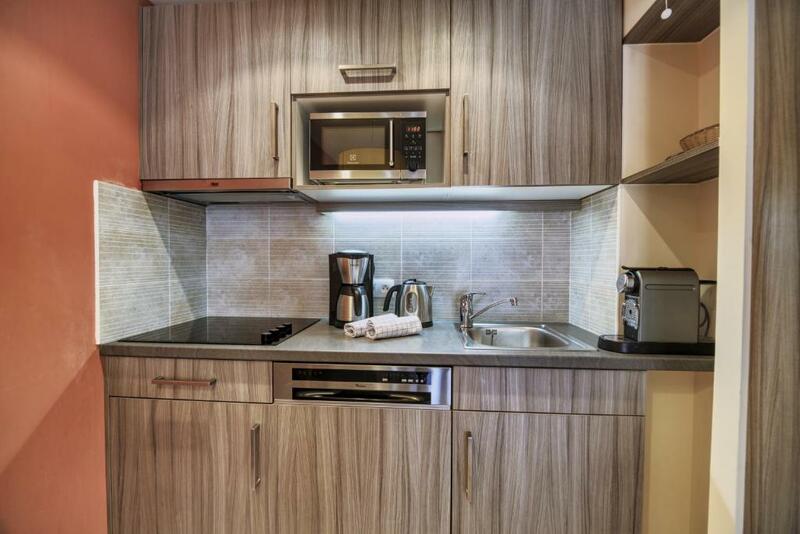 The fully equipped kitchenette opens on the living area. You are kindly requested to clean the kitchen area before departure. This apartment features a living area with 1 double sofa bed and a balcony. There are 2 bedrooms: one with a double bed and the other one with 2 single beds. It has 2 bathrooms with a bath and a shower. Beds are made prior to arrival. The fully equipped kitchenette opens on the living area. This apartment has a balcony. This single room features a microwave, balcony and kitchenware. This double room has a kitchen, toaster and balcony. Pierre & Vacances Premium invites guest to a special moment of relaxation in a refined and authentic environment. 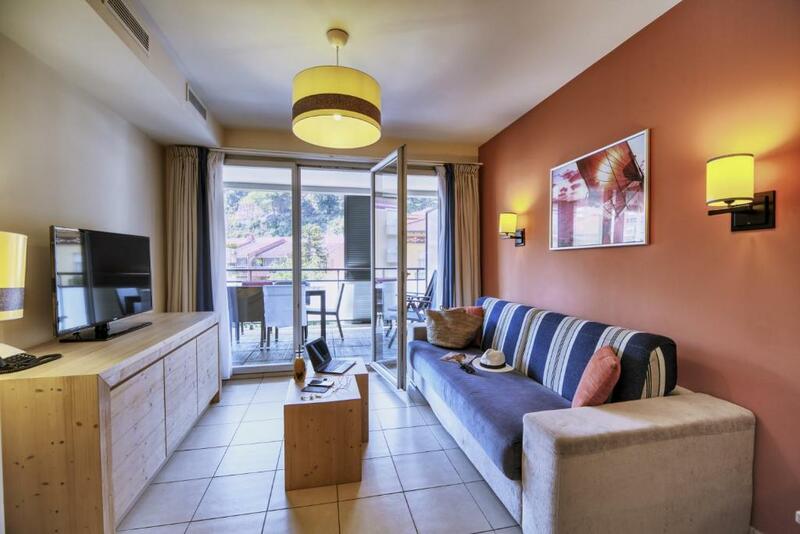 Each seaside and mountain residence offers spacious apartments and a range of attentive and personalized services as well as "well-being" areas. House Rules Résidence Pierre & Vacances Premium Julia Augusta takes special requests – add in the next step! Résidence Pierre &amp; Vacances Premium Julia Augusta accepts these cards and reserves the right to temporarily hold an amount prior to arrival. Résidence Pierre & Vacances Premium Julia Augusta accepts these cards and reserves the right to temporarily hold an amount prior to arrival. The pool is open from April to October. Price includes: all taxes and fees (except for the tourist tax and the possible booking fees), TV, bath linen (1 towel + 1 small towel), cleaning linen (kitchen towel + bath mat), a cleaning kit, beds made on arrival, final cleaning (except for kitchen area and dishes) , basic WiFi, 2 bathrobes and access to the residence's outdoor heated swimming pool. A baby kit is available for free upon prior reservation. The baby kit, suitable for children under 2 years weighing less than 15 kg, includes: 1 cot without a mattress, 1 bed sheet, 1 high chair, 1 changing mat, 1 bathtub, 1 pushchair. Swimming pool was not heated from the beginning of April as advised so it was not ready during our stay and that disappointed us specially our kids as we mainly booked the hotel because it has swimming pool. We have been on the first floor and on the shadow side of the building. Further there were mosquitoes so we couldn’t sit on the balcony. 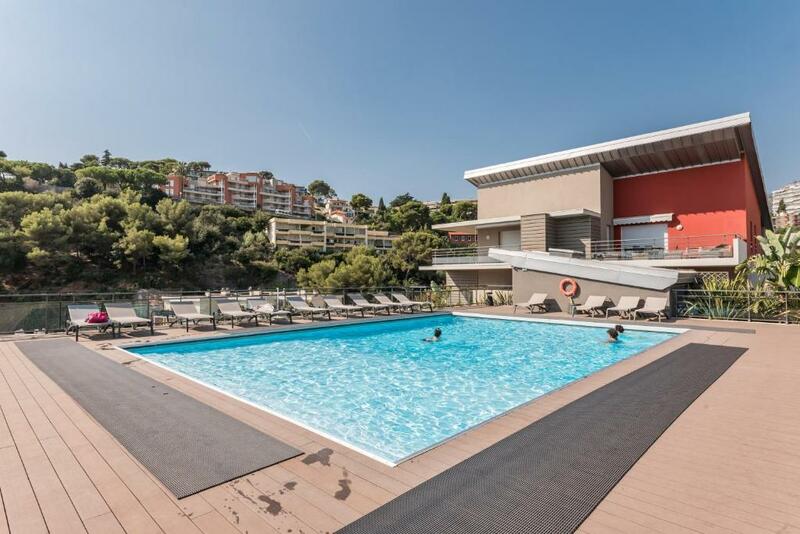 The property is good located, a couple good restaurants are around it and there is a beautiful pathway to Monaco close by. Facility was clean and modern. Furniture looked great, but was poor quality. Kitchen equipment was below average, not really suited for more complex meals. We had booked a room with a balcony but we got the appartment (108) with the smallest balcony of the building. No sand beach .. Very limited hours at reception and not enough staff. Important information about surroundings and building itself was not provided. Cleaning is not included in the price. Unpractical in many ways. The balcony is large enough. A very short walk to the beach and boulangerie. An iron and ironing board would be a great addition to the inventory of the apartment. There were not many restaurants nearby that opened in the evening, although it was F1 Grand prix week/weekend.